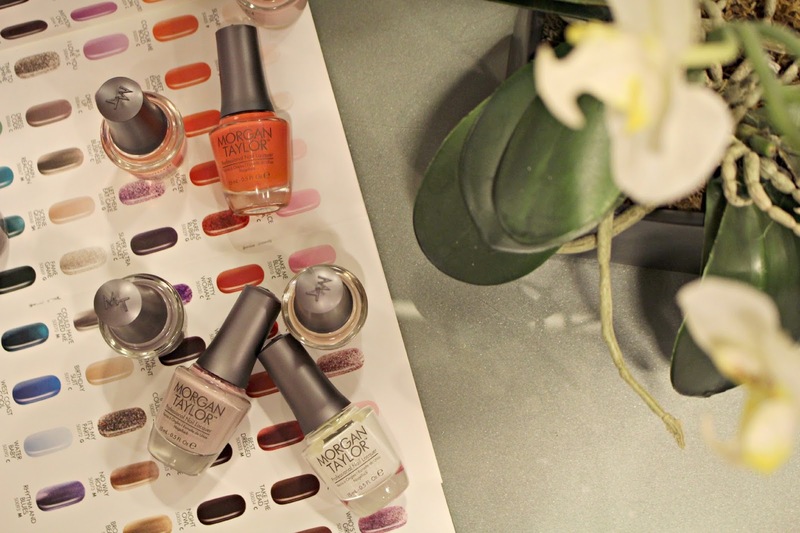 Last Friday I experienced the ultimate in Luxury Manicure experiences. 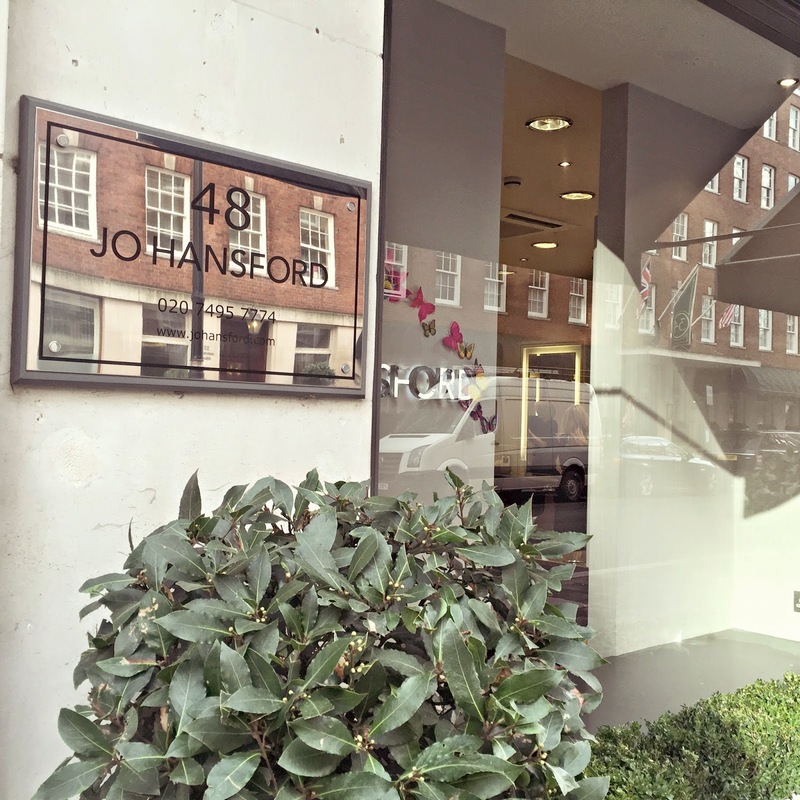 In the heart of Mayfair within the beautiful Jo Hansford Salon, I was invited to try out their new professional nail lacquer of choice, Morgan Taylor. The brand of polish itself isn’t new, in fact it has frequently been chosen as the polish worn by models at New York Fashion Week, but the professional-only brand is now available for manicures for us mere mortals at the salon in London. Firstly, the salon itself is beautiful. They call themselves one of the leading hair colour salons in the UK, and clients can receive manicures while getting their hair done, or as a separate appointment. Jo Hansford is the first salon that I’ve been in that also offers clients breakfast, such as boiled egg and soldiers or smoked salmon and scrabbled eggs, a selection of freshly squeezed juices, as well as a choice of tea or coffees while you wait for your treatment! I was led downstairs to a quieter area where I began by apologising profusely for the state of my nails. Having had false nails on for the past two weeks, then tearing them off as my little finger nails dropped off on the flight home from NY – my nails were looking pretty shocking. This didn’t even phase the ultra glamorous Angie, my nail technician – she proclaimed to have seen far worse! Soon my hands were lathered in lotions and potions and a sumptuous hand massage almost left me drifting off to sleep. After the Morgan Taylor Stick With It top coat was applied, I had the pleasure of choosing from an overwhelming amount of trendy nail shades, ranging from the muted nudes, to seasonal Berry and Navy shades. I went for ‘Simply Spellbound‘ – with a few different events coming up and a variety of different outfit colours, I couldn’t choose a bolder shade, but Simply Spellbound is a beautiful neutral – a shade which will go with everything! After two coats the colour looked beautiful – and topped with an ultra-glossy top coat, I can honestly say my nails have never looked more glamorous! 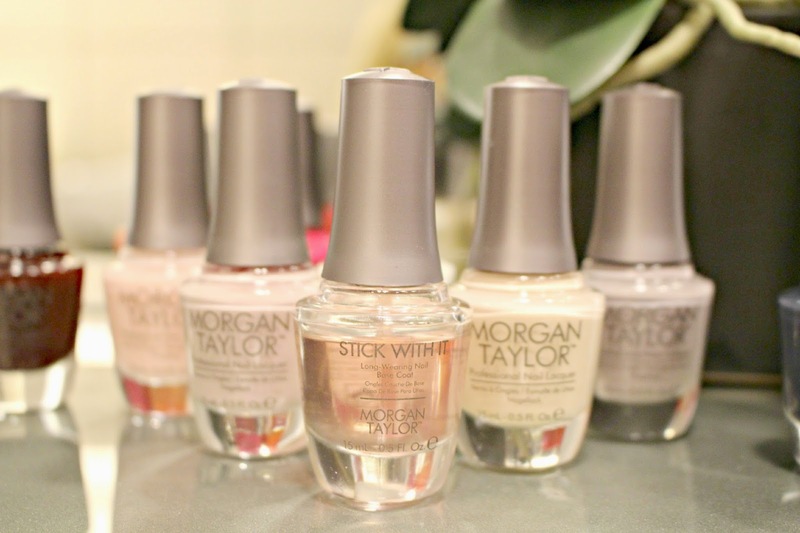 The polishes are currently available for professional use in salons, and to experience Morgan Taylor at home you can purchase the polishes for £10.99 each from Sally Express. My nails remained chip free for five days which is pretty darn good for a non-gel manicure, and they remained ultra glossy as though they had only just been painted for the whole time. Manicures at Jo Hansford start at £37 and are also available to have while you enjoy another treatment at the Salon. You can book a treatment via the Jo Hansford website here, and the Morgan Taylor website here gives more information about the lacquers. What’s your favourite luxury manicure brand?